Long before Wonder Woman graced theatres and delivered a nuanced Diana Prince origin story that was, quite frankly, worth the prolonged wait, Warner Bros. was left nursing a bruised DC Extended Universe following the back-to-back disappointment of Batman V Superman: Dawn of Justice and Suicide Squad. 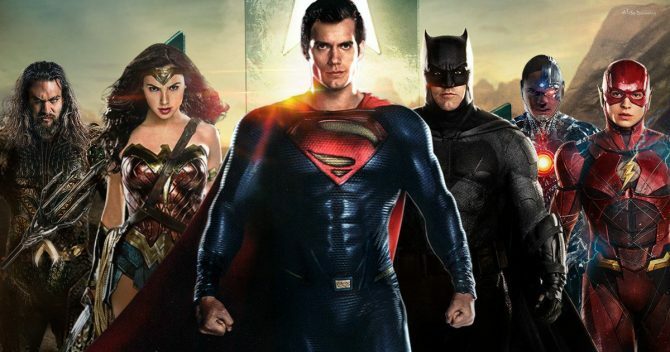 Shackled by a tremendous weight of expectation, neither film really lived up to their respective potential, though strong box office numbers have ensured that the Caped Crusader and the Man of Steel, not to mention the many goons of Task Force X, will return to the DCEU in the not-so-distant future. Case in point: Justice League and the embryonic Suicide Squad 2. But for many, the failings of Batman V Superman and David Ayer’s Suicide Squad still leave a sour taste in the mouth. Indeed, the online reaction proved to be overly critical of both DC blockbusters at launch, but at least according to DC Film’s head honcho Jon Berg, many lessons have been learned since Task Force X waltzed off the screen last August. Berg was joined in the interview by veteran DC producer Geoff Johns, who took time to highlight the blistering success of Wonder Woman and how each DCEU tentpole ought to be treated on a character-by-character basis. In other words, to expect a sudden change of tact that results in every new release being imbued with the hope and optimism that fuelled Patty Jenkins’ standalone pic. Wonder Woman celebrated exactly who the character is, but looking at it, it’s not like we should change everything to be about hope and optimism. There’s nothing to change. That’s what these characters are. Next up for the DC Extended Universe is the release of Justice League on November 17th, and it seems Warner Bros. is preparing to unveil the film’s third and likely final trailer at San Diego Comic-Con next month.